Some 2,000 IDF Aerial Defense troops will be participating alongside 2,500 US troops, including some 1,400 Marines and 1,100 sailors, in the largest joint exercise with US Army’s European Command (EUCOM). The Americans have also deployed the USS Iwo Jima and USS Mount Whitney as well as their Patriot missile defense system, Aegis ballistic missile defense system, communication systems, 25 aircraft, and three hovercraft. “Juniper Cobra 2018 is another step in improving the readiness of the IDF and the IAF in particular to enhance their operational capabilities in facing the threat posed by high-trajectory missiles,” Haimovitch said. What makes Juniper Cobra (which began in 2001) different this year in comparison with previous exercises is that it is the largest joint US-Israeli air defense exercise to date. One of the scenarios Israel is concerned about is how the Palestinians will react to the U.S. embassy move to Jerusalem followed by Guatemala (a U.S. puppet state). Although the report did mention Hezbollah, nothing was said about Syria. However, the main Juniper Cobra drill will continue until March 15th with “additional joint exercises between Israeli and American troops will continue after the completion of the drill through the end of March” the report said. A major war on Hezbollah, the Palestinians and Syria involving both U.S. and Israeli troops will be under Trump and Netanyahu’s watch. 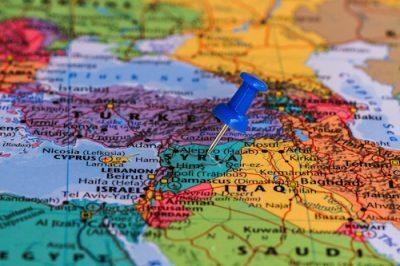 Syria will be the main battlefront, the pivotal point in history that will determine if the US-Israeli led coalition (if victorious) will lead the world to the next war with Iran and its allies.